Just for the hurricane season – we’ll be back in November. But the time had come to return to Annapolis – family and friends to visit, the house calling our name,and other travels and adventures to discover. 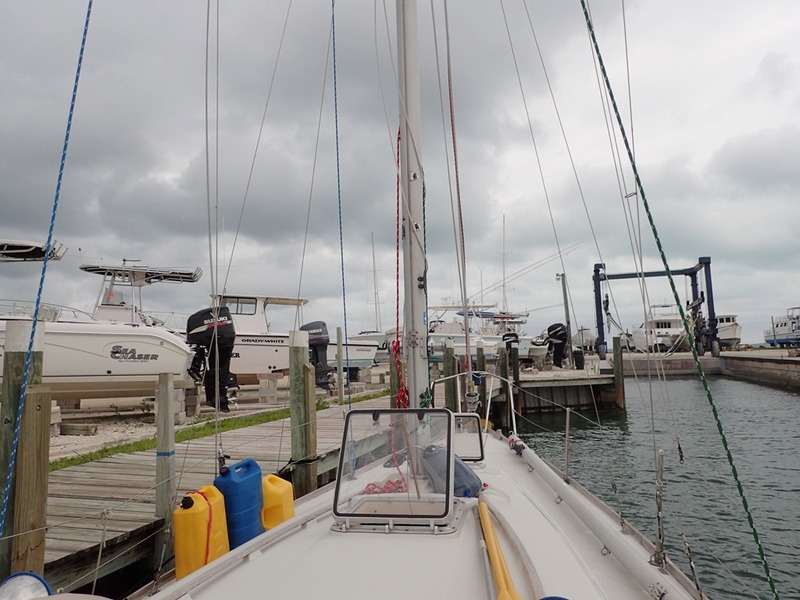 So we left our mooring in Hopetown on a dreary, cloudy day and sailed across the Sea of Abaco to the Marsh Harbor Boat Yard. There, Motu Iti will spend the summer and early fall on the hard. We’d investigated other options. 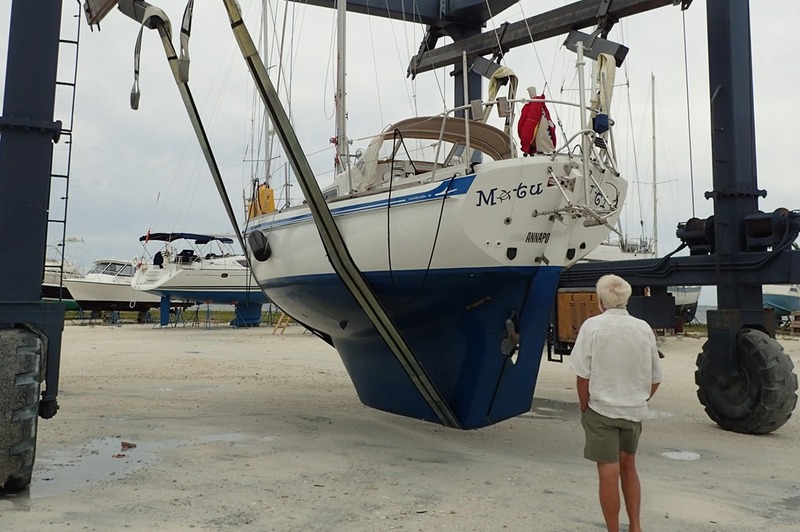 We felt that a slip at a marina would not protect her as much as being on a mooring – where she can move without running into pilings. We talked to those who care for boats over the summer at Man O’ War’s eastern harbor and in Hopetown. We were worried about her surviving a hurricane at a mooring, so we passed. 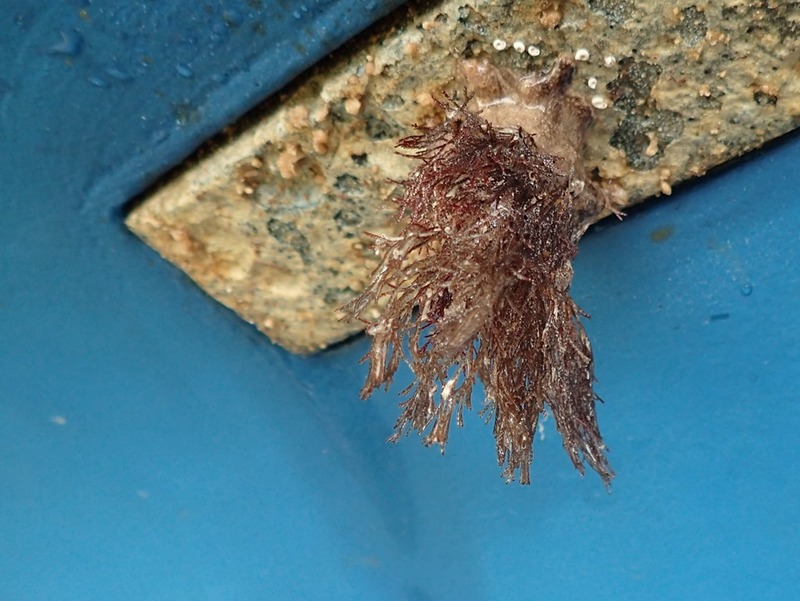 We also knew that her bottom would like being on the hard, i.e., not growing streamers or collecting barnacles. 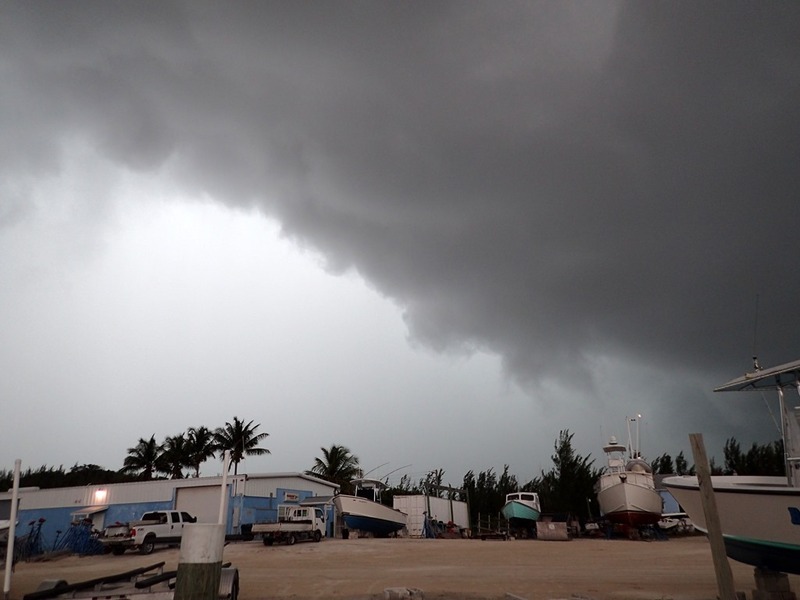 A boat yard in Green Turtle Cay is very protected, but has a waiting list. So we toured the Marsh Harbor Boat Yard. 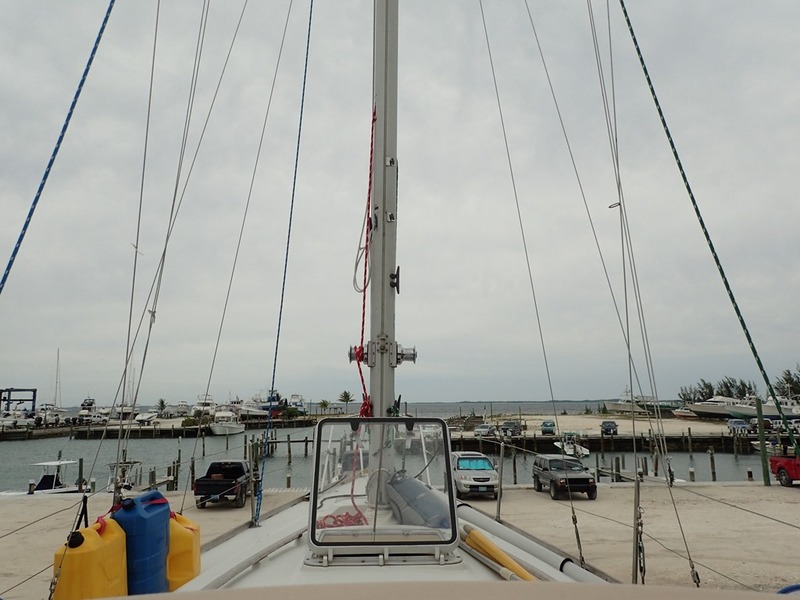 It’s low and very open to the east, but it monitors the boats, does monthly boat checks and, in addition to stanchions, builds a wooden cradle for the boat and straps her down to tie-downs anchored in cement. We arrived early last Tuesday and tied to the wall. Where we worked to get the boat ready. All the clothes, bed linens, towels and pillows were vacuum-shrunk and shrink-wrapped into garbage bags. All surfaces were thoroughly cleaned and wiped down. Everything was put away. Any food that could not be protected from bugs, moisture or other threats was discarded or given away. Lockers were re-packed. The frig was emptied and cleaned, inside and out. 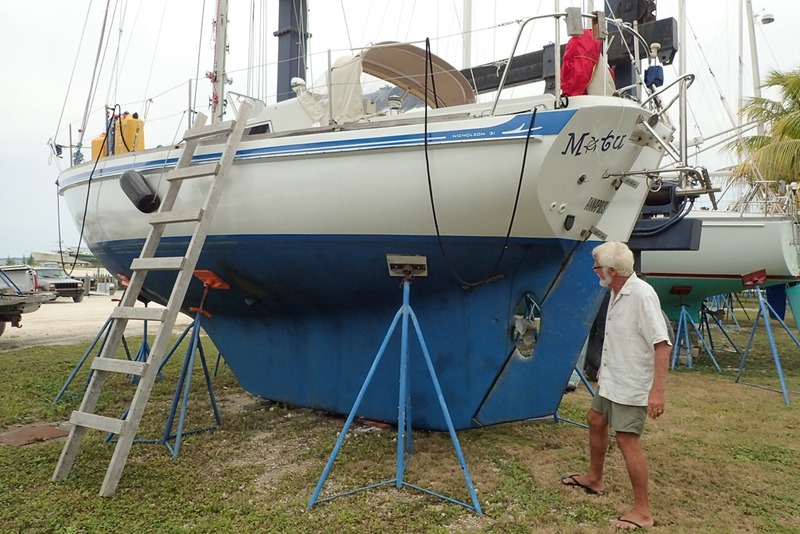 All the canvas was removed – sails, sail covers, dodger, and any fabric covers on deck. Lines were carefully secured, the boom was tied down on deck, and the deck was otherwise stripped. We had just gotten the sails folded and stowed when a strong storm when through. 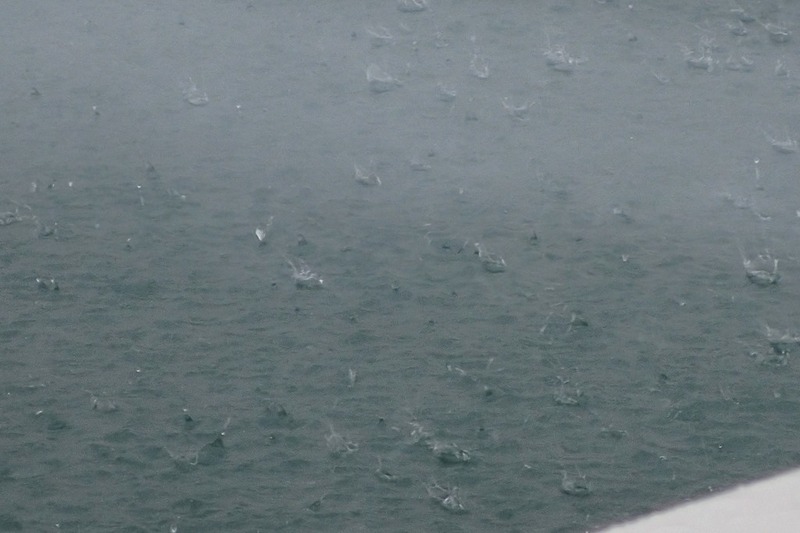 Followed by cooler temperatures and lots of wind and rain. Wednesday, when the rain finally quit, Motu Iti was in the slings for the third time in less than six months. 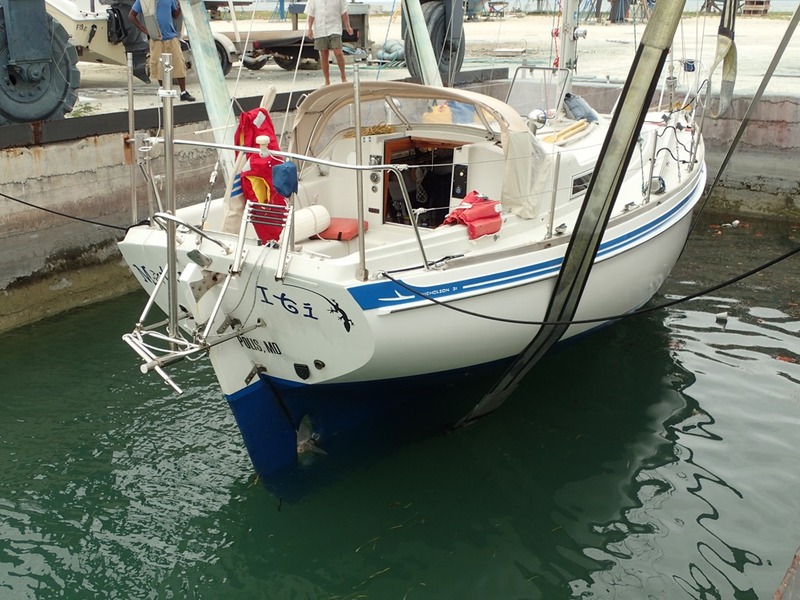 Her bottom had been just been painted last Christmas and she came out of the water very clean. But the zincs were added after the paint and the bolts that attach the zincs were covered in new growth. 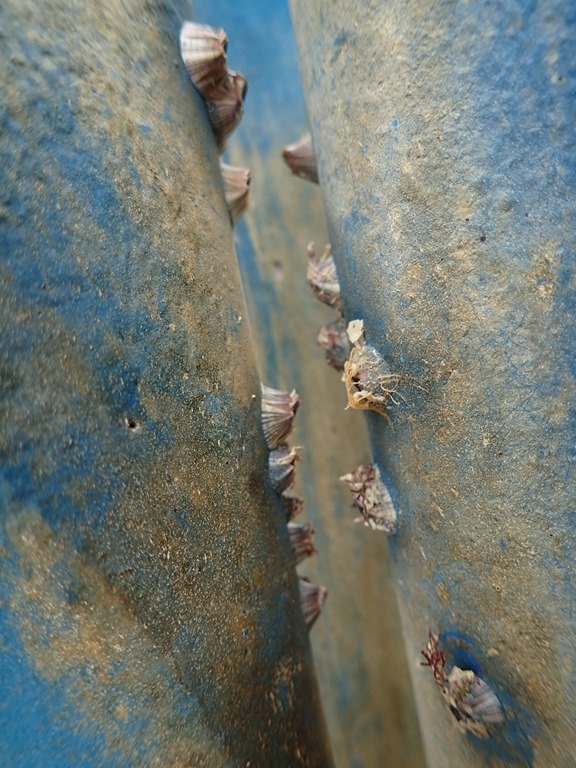 Just a few barnacles – on the leading edge of the rudder. Otherwise, the bottom paint did its job well. And we were once again climbing up a ladder to get on the boat. 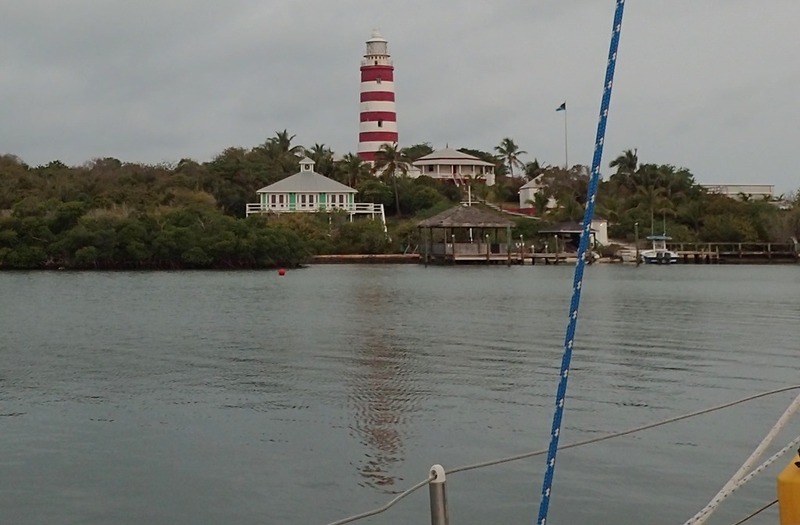 Here is the view from up there, looking across the Boat Yard’s basin and out to the Sea of Abaco. 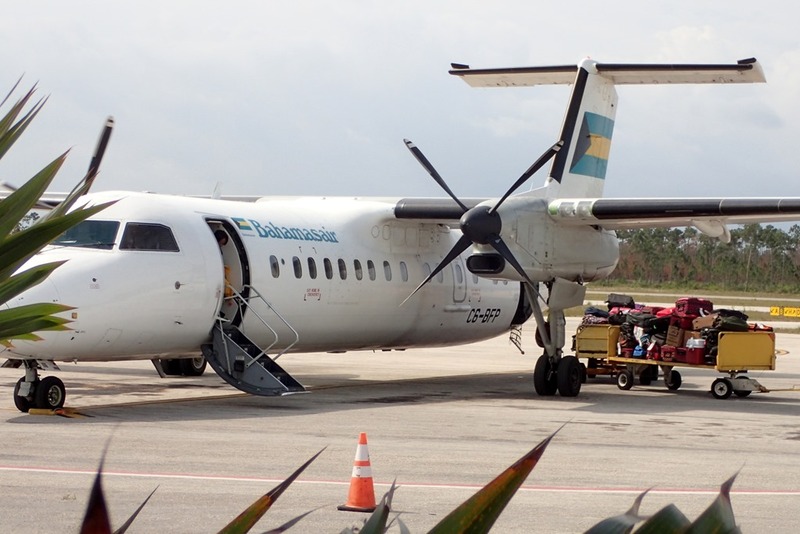 Early the next morning, we climbed down with our duffle bags, said good-bye to our be-loved boat and headed for our Bahamasair flight to West Palm Bach and then onto Baltimore (knowing, at this point, nothing about the troubles there). We will be watching the hurricane season weather carefully and missing Motu Iti. Until November…. Leaving home is always hard. But, yet, you are going home! What a great life!